Today’s article continues on the theme of typos. Previous articles on the subject have discussed atomic typos (switching of adjacent letters) and fat finger typos (missing a desired key and hitting an adjacent one instead). 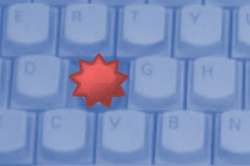 In this posting we’re going to examine what happens if you type on a broken keyboard. Imagine that one of the keys on your keyboard is broken. It’s broken so that the key depresses, but the switch does not connect and the letter is not generated. What happens when you type? 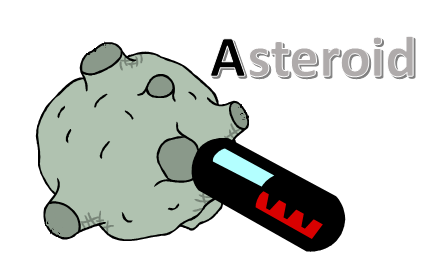 For instance, if the A key on your keyboard doesn’t work, and you try to type the word ASTEROID then what will appear is the word STEROID. This is a valid word – just not the word you intended! This posting is going to look at words that, when typed on a keyboard with one broken letter, results in an output that is also a legitimate word. The missing letter could be anywhere in the word. For example, if you have a stuck H key, then PHEASANT become PEASANT. The stuck letter could occur more than once in the source word, so with a stuck letter B the word BABBLE becomes the word ALE. Sometimes more than one source word can give the same destination word. Continuing the example above, in addition to BABBLE, the words ABLE and BALE also result in the same output word of ALE with a stuck B. (Interestingly, you can also make ALE from AXLE with a broken X, and also from WALE, DALE, VALE, VALVE, TALE, TATTLE, ALES, SALE, SALES, RALE, PALE, APPLE, ALOE, ALME, MALE, KALE, HALE, GALE, GAGGLE, ALEF, DALE, ADDLE, ADDLED, DADDLE, DADDLED, ALEC with the appropriate stuck key). Below is a histogram of the number of words that can be formed from the dictionary I used (174k English words), grouped by the each stuck letter. (The count is the count of the destination words, not the source words, so following on from the example above ALE counts as one word, not three, in the B column). As you can see, S dominates the results. This is not surprising as many of the source words are plurals. By our simple definition, just about any plural word e.g. CARS will turn into another word CAR with a sticky S key. Want to see all the solutions results? There are quite a lot of them! In each table, the bogus destination word is shown first (ordered by length) and in the next column are all the source words for this that contain the stuck-key for that group. The number in paranthesis is the number of solutions for that destination word using the one stuck letter in that group.